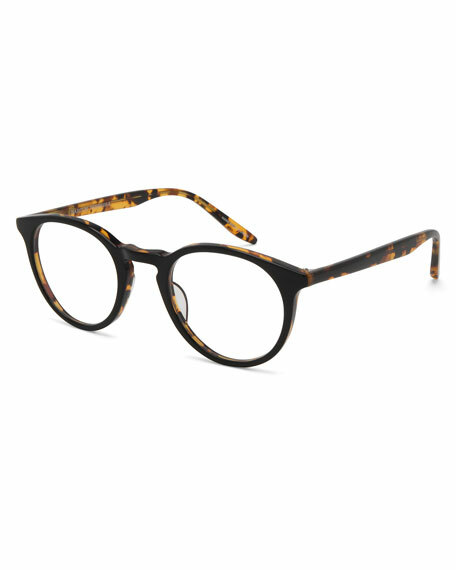 Barton Perreira "Princeton" style eyeglasses. Classic round shape with keyhole bridge. Clear, non-optical demo lenses (replacement required). For in-store inquiries, use sku #2054839.